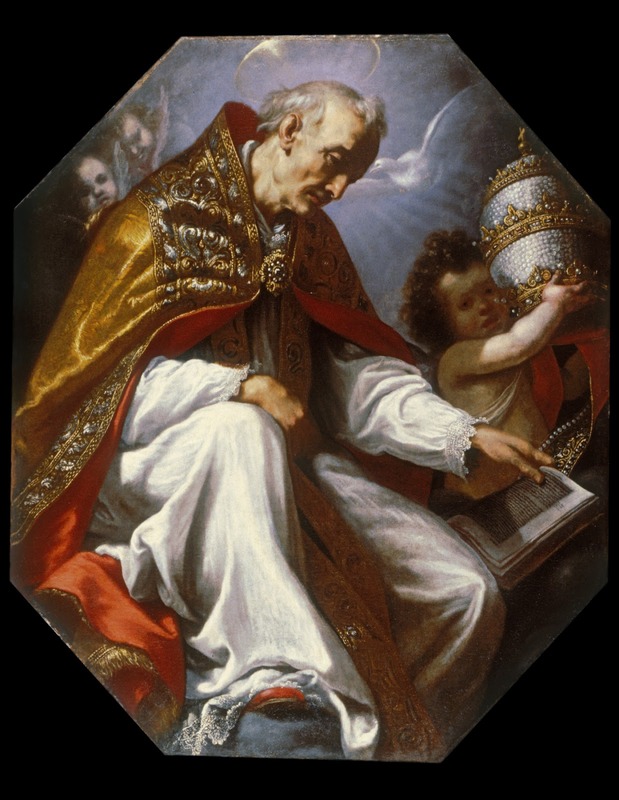 Sep 3 – St Gregory the Great, (540?-604 AD), Doctor of the Church, Doctor of Tears, & First Great Catholic Reformer | ADULT CATECHESIS & CHRISTIAN RELIGIOUS LITERACY IN THE ROMAN CATHOLIC TRADITION: hosting ONLY True Christians!! !, or "How to think Catholic!!" Gregory had to hurry. He packed quickly. He suspected the news even before receiving it in writing. Justinian had confirmed Gregory’s election as Bishop of Rome. Gregory had to flee the city before he could be ordained. Gregory knew Justinian when Gregory was papal representative in Constantinople, and had therefore interceded with him, asking Justinian to withhold his consent from the election. News travels fast in Rome, even in the sixth century. The people of Rome intercepted Gregory before he could make his escape and carried him off to the Basilica of St Peter to be consecrated pope. If you have ever heard the term or actually heard “Gregorian chant”, you have heard the echo and felt the effect, a millennia and a half later, of the life and papacy of St Gregory the Great. The old empire in the West had collapsed, Italy had been invaded and Rome sacked once again, this time by the Lombards in 568. It had taken Justinian twenty years to drive the Ostrogoths from Italy in the 5th century, his Byzantine army looting and pillaging their way as they pushed their enemy back, bringing plague and famine along with them. And then the Lombards came. By the end of Gregory’s papacy, one third of Italy had succumbed to the plague, and still more had died as a result of famine and war. It must have seemed like the end of the world. Even though legalized in 313 by Edict of Milan, Christianity still existed in a largely pagan, brutally repressive, and unjust world. There was essentially no help for the poor. Desperately poor parents either abandoned their children or sold them in to slavery. Child prostitution was legal and accepted. Criminals, political dissenters, slaves, military captives, and members of banned religious sects were routinely tortured for public amusement in the gladiatorial games. Don’t feel like going out? Torture one of your slaves to death at home. It’s fun? And, it’s legal. After Constantine’s conversion, some of these aspects of Roman culture began to be outlawed. In the spring of 315, Constantine legislated that aid would be provided for hungry children, although their parents were still left to fend for themselves. That summer, Constantine made child prostitution and pederasty illegal and punishable by death in the gladiatorial arena. Constantine forbade the immoderate torture and murder of slaves in 319, but moderate torture was still allowed. Slaves who denounced their masters, however, were subject to crucifixion according to a law passed in 320. In 343, it became illegal to use Christian slave women for prostitution, but non-Christian slave women could still be used in that manner. Although the Church began having a reforming effect on Roman society, progress was painfully slow. Even the Church’s own moral teachings led emperors to legislate laws that were unjust. On August 6, 390, Emperor Theodosius passed a law stipulating that men who committed homosexual acts were to be burned at the stake. This is the world Gregory was taking responsibility for as Successor of St Peter. We can clearly appreciate his hesitance, anxiety, and desire to get out of town. When Gregory heard the bishops of Arles and Marseilles were forcibly converting Jews, Gregory demanded they stop. The only true way to conversion, Gregory declared, was through the sweetness of preaching. Tragically, not all of Gregory’s successors nor the Church herself always heeded Gregory’s sage advice in succeeding generations. The legalization and adoption of Christianity in the Roman Empire was both a blessing and a curse. It was a blessing in the sense a flood of wealth, including state money, poured into the Church allowing it to build institutions that would survive the collapse of the Latin West. However, that same effect immediately drew to the Church those seeking office or position not necessarily for the holiest of reasons. As a response to this ill effect, the first major reform movement, monasticism, developed in the Church. It came from those seeking a greater purity in their pursuit of Gospel living. It was from this nascent monasticism Gregory came. We should recall the emperors had given the Church a near monopoly on social welfare in the Empire. By the fifth century, the church in Antioch provided clothing, maintained hospitals and dispensaries, and fed three thousand people a day. Naturally, this implied major sees in large cities were receiving and distributing immense amounts of wealth. Gregory was direct and firm. He removed unworthy priests from office, forbade taking money for many services, emptied the papal treasury to ransom prisoners of the Lombards and to care for persecuted Jews and the victims of plague and famine. He was very concerned about the conversion of England, sending 40 monks from his own monastery. He is known for his reform of the liturgy, for strengthening respect for doctrine. Gregory’s book, “Pastoral Care”, on the duties and qualities of a bishop, was read for centuries after his death. He described bishops mainly as physicians whose main duties were preaching and the enforcement of discipline. In his own down-to-earth preaching, Gregory was skilled at applying the daily gospel to the needs of his listeners. Called “the Great,” Gregory has been given a place with Augustine, Ambrose and Jerome as one of the four key doctors of the Western Church. Gregory developed what can be called a spirituality of reform that balances the need to reform with the need to maintain the unity of the faith, which he called “the bond of love”. The essential virtue for maintaining unity, according to Gregory, is patience. Gregory insisted that people should not expect to bring the Church to perfection, because the reality is that the Church brings us to perfection by stirring us to reform ourselves, our communities, our leaders, and our world. 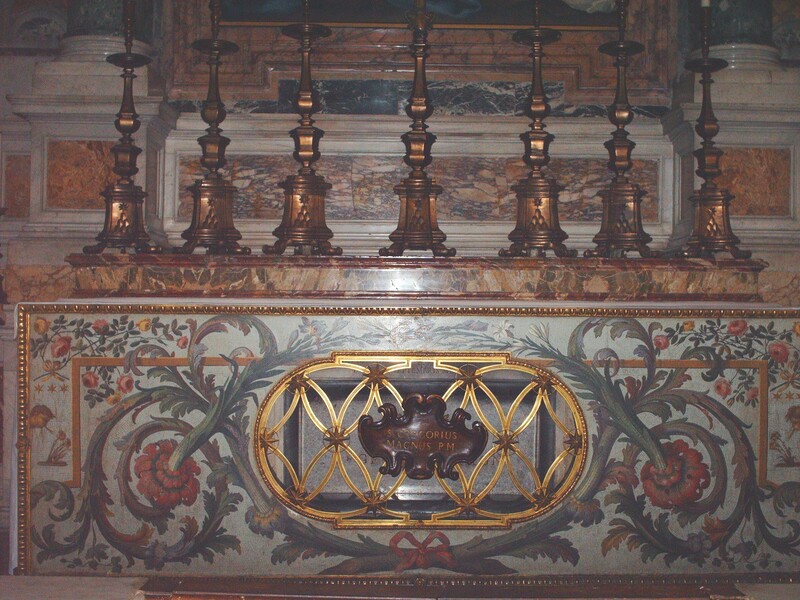 The imperfect and wounded nature of the pilgrim Church is not, for Gregory, a sign that the Holy Spirit has lost His way guiding the Church toward sanctification. Nor did he believe it was the role of the reformer to separate wheat from chaff or sheep from goats. Only the Son of Man has this right. Largely due to the influence of Irish and Spanish clergy and missionaries, Gregory’s ideas gradually spread throughout Christian Europe. By the end of the 9th century, Charlemagne had made the study of Gregory’s “Pastoral Care” obligatory for all bishops in his empire. -by Jacopo Vignali, Pope St Gregory the Great, ca. 1630, oil on canvas, the ceiling of the library in the Dominican convent of Santa Maria Novella in Florence. from the grip of the ancient enemy. yet You wash souls in saving waters. You deliver us from endless chastisements. in the choirs of angels in glory everlasting. yet You save us from the wounds of sin. yet You prepare Yourself to fill us with eternal delights. although You are His equal in Divinity. who are dead through sin. “Scripture is read in public to feed even children, and in secret to suspend even sublime minds in admiration. It is like a river, both shallow and deep, in which a lamb may walk and an elephant may swim.” (Gregory the Great, Commentary on Job). Previous PostSep 8 – Blessed Frederick Ozanam (1813-1853), Husband, Father, Founder of the St Vincent de Paul SocietyNext PostThe Fifth Joyful Mystery – Finding the Child Jesus in the Temple & Family Life!